Homeowners understand that the beauty of their home begins with a well-trimmed lawn, and there would always come at that time of the year when the weather gets warm, and your garden keeps growing. From our review Husqvarna 7021P, 21 in. 160cc Honda Walk Behind Mower seems to be the best high-end lawnmower under 300. It comes with all the features you expect from lawn mowers that are way more expensive than it is. Every year, millions of lawn mowers are being sold – you need at least one too so your home can have the best look as it possibly can! If you have not known, the lawn mowers are machines you use to cut grass in a lawn and eliminate the untidiness from it. How To Choose the Best Lawn Mower? Lawnmowers range in power and sizes, and to make the right decision on one, your personal preference and budget play an important role. Terrain – for uneven, sloppy or hilly terrain the self-propelled mower works better. When you have flat terrain, the electric walk-behind completes the job. Difference between cordless, corded, gas powered and manual lawn mowers? Purchasing a lawnmower is a one-time decision that should serve you for many years, so it is compulsory you make the right choice. Talking about choices, there are several types of lawn mowers out there – cordless, corded, gas powered and manual lawn mowers. Cordless lawn mowers run on a given duration of work time since a battery powers them and require long charge time but corded on the other hand have direct connections to electrical power and have unlimited runtime. The disadvantage here is the distance limit since corded lawn movers have to keep their links to electricity to keep running. The gas lawn mower is significantly the most powerful and can handle large lawns but require much maintenance and generates pollution. Manual or push reel mowers cheaper, quieter and requires less maintenance. They can be maneuvered and easily controlled. What should I look for when buying a lawnmower? Although there are lots of lawn mowers in the market, considering the amount of time and effort you would spend behind your lawn mower, especially for first-time users, there is a lot at stake here. There are some that would suit your preference, but some conditions you should consider before getting a lawn mower are the cutting power, cutting height and the maneuverability or how easy you can use the mower. Mowing your private lawn does not have to be a difficult task, and not to further complicate things for you, we have rounded up a list of the top ten best lawn mowers under 300 dollars, in case you need a valuable mower under a budget. The Sun Joe MJ401E-RM Mow Joe is easy to use and can take care of your small yards. Sun Joe, a reputable company develops it. Even with the small size of this machine, it is capable of delivering the power of a gas powered lawn mower and still provide the convenience of an electrically powered mower. It has durable steel blades to cut width of 14 inches with precision and is equipped a tailor cutting height and a three position manual height adjustment. Another feature is the hard top rear bag which can be easily detached to make disposals convenient. A plus is a maintenance that requires no gas oil or tune-ups, just push the button and start working. Even as a renewed product, it is inspected, trusted, and tested to work as new. The lawn mower is thoroughly clean, with a full diagnosed test performed on it and all defective parts replaced. With a 90-day warranty promise from Sun Joe included in the pack, there is nothing to worry about. To reduce the hassles of your lawn maintenance, especially if you have a lot if edging, trees or landscape features, you should go for the BLACK & DECKER BESTA512CM. With this machine, you can handle the primary area of open turf. Although managing a large area may be a little tricky since the BESTA512CM has a very compact size, and you do not want to spend all day going back and front, but when it comes to smaller lawns, this is a cheaper choice. The BLACK & DECKER BESTA512CM Electric lawn mower is designed to have a lightweight. The idea that it is corded already makes it necessary to have a reliable outdoor electrical outlet, to make it even easier to use, you could use an extension cord with your desired range. This piece does not have metal blades; it uses a 0.065-inch diameter trimmer with cutting heights of between 1.6 to 2.4 inches to produce a 12-inch cutting path. The machine can work as a four-wheel lawn mower. Detach the wheels, and you can use it as a trimmer or an edger. For a powerful small size mower, you can buy the Sun Joe MJ401E. It has a compact design and is suitable for cleaning up smaller yards with lots of tight spaces without emitting toxic carbon emission into the atmosphere. On the handle is a cardholder, and there is a knob installed on each side of it for a triple height adjustment system which can turn out to be useful for the operator. The blades are made of steel. There is also a push to start button on the mower and a safety button to prevent accidents. Regardless of its size, the lawn mower is equipped with a motor powerful enough to quickly clear a path of 14 inches. The deck is made with high-quality plastic for longer life. The product comes with easy to understand instructions. The design alone makes it an attractive option to buy; it comes in several colors like dark blue, black and red. In summary, it is a perfect option for small yards and can easily be used by beginners. The Sun Joe MJ401C may be the best looking Lawnmower on the market. It is a cordless battery powered electric lawn mower with a rounded, space-age body that gives it a toy-like look. Regardless, the machine carries out its task on small patches of lawn, cutting a width if 14 inches. The power system runs on a 28-volt lithium-ion battery which is good enough to go for 20 to 25 minutes runtime. The cutting height of this Sun Joe can be adjusted to three different positions, ranging from 1.2 inches to 2.5 inches. It is a self-propelled mower with easy drive controls while operating and can be maneuvered in tight spots by pushing, pulling or making U-turns. Even if you can purchase a side discharge option separately, for easy disposal, the mower comes with a detachable 10.6-gallon grass catcher and a two-year warranty. The Sun Joe MJ401C come in three different colors, in case you prefer to have an option with the look. For house owners that feel skeptical about electric corded lawn mower not powerful enough to be comparable with the gas-powered mower can relax. The Greenworks 25112 lawn mower is here to change your mind; it is powerful enough to handle both small to medium-sized yards, unbelievably cutting tall grasses. Unlike many other lawn mowers, this Greenworks does not aggravate sore shoulders; the working process is less stressful, all you do is hold the start button and pull the lever backward; it would fire up right away, and when you are done with your task, just let go of the lever. The Greenworks 25112 lawn mower performs excellently when it comes to cutting and bagging those high grasses and ugly weeds with a cutting width of 21 inches. And although the small size of the engine and other plastic parts may seem a little more delicate than other mowers, most users have commended its long life. 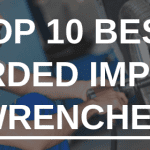 Yard machines are known to make some simple mowers that perform excellently. To an untrained eye, this one might be mistaken for a mulch. Fitted with a powerful 140cc OHV engine, the most mowing task just became easy. This model, in particular, is a lightweight machine that causes no strain while pushing it. Yard machine 140cc lacks some extra features or ergonomics and is not the latest or greatest mower, but none of that matters since if you want one that can help to keep your budget in check then look no further. There is a dual lever mechanism to adjust cut heights to different levels so the machine can accommodate both tall and short varieties of grasses. For easy turnings, the rear wheels are large, and the discharge is made in a way that the clippings are kept out of your path. The working process is as straightforward as possible, when the engine starts, the blade rotates to make fine cuts. As a product of the dependable Remington, the RM110 trailblazer gas-powered lawn mower is your choice for heavy-duty functions. Built with a powerful and reliable engine, the 21 inches cutting deck allows you to work less while clearing a full path. The features are easy to use, and it pushes at a reasonable weight of 62 pounds. The cutting system lifts the grass and cuts it by circulating underneath where the clippings work on the side or bottom depending on which of the 2 in 1 option you select. For a cleaner mowing and mulching choice, this product cuts with a breezy effect. You get the options of six cutting heights depending on the time of season or other conditions in general with a friendly and comfortable dual lever adjuster that can be used by anyone. Reviewers have mentioned that this machine is best for one-fourth of an acre or less. You would see your corded lawn mower as the best until it runs over the power cord while you work, that’s when you would discover how ugly it is. If not a run over the power cord, it could be a blown fuse or tangled spark wire, then you realize you need a cordless lawn mower. Worx WG779 is designed with a spectacular battery life which is made possible by the advancement in battery technology. The machine uses a pair or 20 volts Worx battery which an operator can easily interchange with other 20 volts Worx batteries even if they are from other power tool and devices in their line. It is also made with a port charger, so you do not have to take out the batteries every time you need to recharge them, you could directly connect the port to an available wall socket. It comes with a smart charger to avoid unnecessarily overcharging the batteries after it reaches the maximum and reducing the battery life. Lightweight lithium-ion battery lasts about 40 minutes. Keeping your lawns clean just got more comfortable with the Sun Joe iON16LM. It has a small size but still agile to carry out tough tasks. The small size may make it seem perfect for small lawns alone, but when you have a Sun Joe iON16LM, you can mow as much as a few square feet or an acre. Built with a reliable lithium-ion battery which does not take so much time to recharge, you can work perfectly for at least half an hour. Better than other products it is made with six different height adjustments to give enough flexibility for all kinds of users. Even if it is not made with so many additional features, it is sure to get the job done when you need to cut grass. The low price, the durability as well as the less noise it creates are some of the things that attract customers to this product. You can switch form electrical power to batter when you need it, but you have to take care of the battery so that discharge entirely and does not affect battery time. For difficulties, while mowing on uneven grounds, the solution is the Husqvarna 7021P. Providing a cutting 21 inches with every pass, you could mow through your whole lawn in no time. The design of the wheel gives it more mobility and maneuverability regardless of the condition of the terrain. Still, on the wheels, there is a double ball bearing system fitted on it to produce a smooth and quiet roll. The power system is the unrivaled high spec 160cc Honda engine with reliability and durability. A remarkable attribute is a cutting height that can be adjusted to 9 different positions to suit various lawn conditions. As yards vary in from each other in physical conditions, the same way, your choice of lame mower vary. There are some factors below you should consider before choosing any model. If you have decided to buy a lawnmower, it is essential to have a reason for your purchase. The size of the garden and purpose would determine the type of mower you can use for your yard. Lawn mowers come as corded, cordless, push or manual and gas powered. Some for the features you should look at are the wheel drives, adjustable heights, cutting positions, and some can serve other purposes like mulching. Wheels might not seem like an exciting feature to mention, but they matter. For push mowers especially they have to be impressive, in that you provide the pushing power. It is even better if they have a larger rear wheel and feature a double ball bearing to aid the maneuverability. However, choose the front drive for better mobility and a rear drive mower when you have a sloppy yard. Most wheeled mowers are equipped with a minimum and maximum cutting height and a manual height adjustment lever on each wheel to set the wheeling position depending on the task at hand. The adjustment could come as a manual hand control or a foot pedal. The blade width is usually calculated in inches. They are the cutting width of the cutting blade and determines how many passes you need before you can completely mow your yard. A blade with more width is suitable for wide paths and helps you save time by spending less time pushing the lawn mower. When you mow with a filled bag the machine gets heavier and more difficult to mow, so once you plan on bagging the clipped grasses, you should consider how much clippings the lawn mower you are buying can take. If you have a large lawn or one with thicker pushes that would produce more cuttings, go a bigger bag, so you have to always stop mowing to empty the clippings. We have spoken about how wheels support maneuverability, the same with the weight. A lightweight lawn mower would keep you from early fatigue especially when you are manually operating a push mower. The best lawn mowers give you the ability to adjust their height of cuts with adjustable levers located on each wheel. The cutting position on most of the best mowers is pretty standard, with about six different setting range. Some can have as much as nine cutting positions. You may have more than one lawn with different qualities, or have a different height expectation for the various times of the year, which is where the cutting height comes in. The minimum cutting height is the lowest position a lawn mower can reach towards the ground while mowing. Some can go as low as 1.5 inches to 3.5 inches above the ground. Most of us like to raise the mowing height of our grasses in times of stress like high temperature, water logging, winter or drought. The maximum height is pretty much the most top possible position you can set your wheels up to while mowing. While some mowers are set to have height adjustment per wheel, most of the better mowers have one leaver to change the cutting height of all wheels. It is great when you have the option of mulching on your lawn mower. The mulching option allows you to recycle the clippings back into the soil to feed it with vital nutrients and keep it healthy. The mower could also have a side discharge feature to allow clipping out through back or side of the mower. For walk mowers, there are four types of engine, the traditional side valve where the valves are at the sides of the engine, overhead valve, overhead valve, and direct overhead valve. The best of these is the direct overhead valve with better power consumption, quieter, less vibration and reduced emissions. 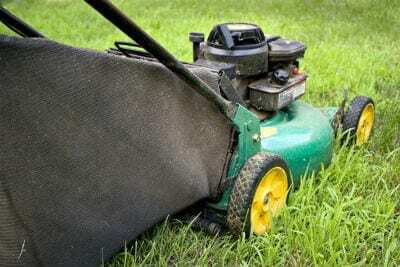 For gas lawn mowers, the internal combustion engine produces a lot of noise, and the larger the engine with more power, the more it tends to make more noise. 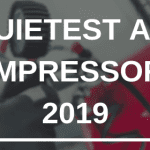 If the noise is an issue for you, you can consider a machine with smaller power and lesser noise – you can get some as quiet as 85 decibels of sound. The maintenance of a lawn mower depends on the type. You maintain your lawn mower by checking the oil level, removing debris and charging the battery after every mowing session. Although your battery as you buy them would last long and serve its purpose, after about seven years, it may cease to hold a charge and should be replaced. But for all types of lawnmowers, the blades will need to be sharpened or replaced. General safety actions are required, but other concerns are mowing wet grasses where there could be a slip and exposure to rotating blades. You should also turn off the engine before releasing the handles. Some mowers feature a safety button to prevent accidents from happening. Self-propelled gas mowers are heavier and have a greater risk for breaking since they have more moving parts than push mowers. Reviewers have rated Honda mowers to have the most reliable engine, with a lesser chance of breakage. An advantage is that most of it comes with a five-year warranty. Another reliable engine is the Husqvarna. What does it mean when a lawn mower mulches? Mulching is when the shredded grass clipping from the mowing discharges from the machine, either from the side or the back and is returned into the lawn as fertilizers or composite to enrich it. Mulching mowers are designed to return these organic products to feeding your grass than having to use chemical fertilizers. Do I need a riding lawnmower? If you own a large garden, then a gas-powered riding lawn mower should be your choice to get the work done on time – they have high power and are very suitable for huge sized lawns. But if you need a mower for a smaller sized lawn, most especially if you want one on a budget, the walk behind is quite convenient. Do I need a mulching lawn mower? The mulching lawn mower comes with some advantage in that it returns the shredded grass clipping to the lawn to feed it and bags the larger clippings to avoid making the soil bulky. So the intentions for your garden would determine if you want a mulching lawn mower or not. What is the difference between a mulching mower and a regular mower? A regular mower is not equipped for mulching duty, most times you find them being called the two in one mower, and this is because they can either discharge the clippings through a side chute or directly into a mounted bag. The mulching mowers, on the other hand, is referred to as the three in one mower, they can function as a regular mower and can also shred the clippings smaller pieces before returning them to the soil. Can you put a mulching blade on any mower? Several regular lawn mowers can be converted to a mulching mower by adding the mulching kit to it. To answer this question, not all mowers accepts the mulching blade, but you can contact your local dealer or the manufacturer to be sure or look beneath it to confirm. What is a 3 in 1 lawn mower? For a simple understanding, the 3 in 1 lawn mowers refers to the mulching mowers. They are 3 in 1 basically because they can perform all three jobs instead of just two like the regular mowers. The mulching mowers can discharge clipping from the mower, bag them or shred them into excellent mulching and leave them on the lawn to enrich the soil. What type of lawn mower is best? The selection of the best type of lawn mower falls back to your purpose of purchasing it. Gas-powered lawn mowers are good for the power – they are more powerful than the other types. Another powerful type is the electric or corded lawn mower, but then they have to have an uninterrupted connection to electricity, and cordless is not as powerful as the others mentioned, but they allow to good flexibility and mobility. What is the best riding lawn mower brand? With 420cc gasoline-powered engine, 7100-watt generator, 46 inches removable fabricated deck, the speed of up to 17m mpg in gas or electric, 14 inches turning radius, and 500lb towing capacity – The Raven MPV7100 Hybrid Riding lawn mower may just be the best riding lawn mower brand on the market today. What is a good CC for a lawnmower? For more stringent mowing conditions like tall and wet grasses, leaf mulching, bagging or maintenance, a larger engine is required. But a good cc should fall between 140cc and 190cc if you are to carry out the task effortlessly. Is it better to mulch or bag your lawn? Mulching our lawn allows you to return the chopped clippings to the soil to add nutrients to it in the form of fertilizer or compost. Bagging your garden, on the other hand, removes the cuttings without shredding them by putting them in a bag for disposal. Mulching your lawn feeds it and eliminates the extra weight of the bag on your mower. What is the average life of a riding lawnmower? As long as the riding lawn mower is well maintained and properly taken care of, the Average Life Expectancy would be about 10 years. Some taken care of, lawn mowers can even last as long as one-half the average life. What size lawn mower do I need for 1 acre? For a 1 acre sized lawn, any size above 46 inches would be well suitable. For lawns below one acre and more than ½ acre, 38-46 inch is a good choice. Lastly, if your lawn is less than ½ acre 30-12 is an excellent choice. The most common size for riding lawn mowers is 42 inches. There are several benefits of leaving your clipping on your lawn for mulching. They provide free food for your garden and makes you work less. But there are some situations like noticing a disease on your law; then you have to attach your bag and proceed to mow to avoid spreading it. Is it better to leave grass clippings on the lawn? Of course, as long as the clippings are being mulched, they are better to be left on the lawn to feed it. If they are not mulched, then it is better to remove them with a rack to keep the lawn cleaner. Situations of disease or waterlogging caused by the grass clipping on the soil should also be checked. Are mulching mowers good for the lawn? The mulching mower helps to reduce the work of cleaning and to rack the lawn after mowing. At the same time, it gives a great advantage to the soil by feeding nutrients to it by shredding the clippings and allowing them to mix with the ground – so they are good for the lawn. Do mulching blades cut grass? The mulching blade is also known as the three in one blade, and they can be used to bag, discharge or mulch shredded grass clippings with the soil. The standard blade does the first cutting process before the mulching blade takes over and chops the clippings into smaller pieces a few more times before releasing it back to the soil. What is the best mulching blade? The mulching blade you use on your mower should fit it, some of the things to look at it is the blade length, number of blades and the shape of the hole in the center of the blade. The specifications would determine the balance of your mower. How much does an average lawn mower cost? You do not have to spend all of your savings on a lawnmower; it does not cost so much. An average lawn mower would cost about $200. Compared to the average price you pay to a lawnmower which depending on the square footage may range between $30 and $80 per visit, you can see that the lawn mower is a win. How big is a lawn mower gas tank? The average size of a riding mower can hold about two gallons, while a larger lawn tractor may hold up to three or four gallons. The average size for an oversized fuel tank can hold about five to ten gallons of gasoline. The self-propelled mower comes with a drive system to take the labor of manually pushing the mower out of the task. The self-propelled mowers are excellent for yards of up to ¾ acre, so as you walk behind the machine to control its path, the front, and rear wheel drive to suit your yard. What's the difference between lawn and garden tractors? The main difference between lawn mowers and garden tractors lies in the location of their cutting deck. For lawn mowers, the cutting deck is under the front of the vehicle while garden tractors have the cutting deck mounted it the middle. The zero turn lawn mowers are designed to enable a forward speed and are steered by a dual hydrostatic transmission at the rear wheels, controlled by a lap bar in the front seat with a pulley system. They feature a deck adjustment using a manual hand lever or foot pedal. They are also fabricated for heavy duty functions to cut grasses in the least amount of time. What horsepower do I need for a lawnmower? Lawn mowers need enough power to get the job done. Self-propelled or walk behind lawn mowers that are powered by gasoline have engines that use between two to seven horsepower. Riding lawn mowers are so much bigger and heavier, so they have horsepower between 13 and 30. How many hours is a lot for a mower? The amount of time a lawn mowers engine can serve you would depend on the type of mower and engine. A cordless mower would last as long as its battery life. A high-end electric lawn mower can run as long as 5 hours every day as long as it is adequately maintained. Is snapper a good lawnmower? Snapper is a renowned maker of both walk-behind mowers, riding mowers, and tractors. Some of their models are high-end and are regarded as the best available brand in most retail stores. How do I know if my lawn needs dethatching? Thatch is the dead leaves, grass, or roots between the green and the soil; when it gets too thick, it makes it challenging to be mowed. You can check for thatching by walking on the lawn to see if the ground feels firm or spongy if it does what you need to dethatch. Can you leave leaves on lawns? Leaving the leaves on the lawn would serve as mulch and keep the soil around the garden protected. It does not harm your lawn only that it could impede weed growth sometimes. In summary, we hope this article has been able to answer some of your questions on lawn mowers. There are a lot of aspects to be considered before buying a mower since it is a machine you may spend a lot of time behind. You should analyze every type so you can pick the one suits you in terms of functionality and features. We hope from our list you can find a lawn mower to fits your taste and budget. But after several chin scratching,s we have selected Husqvarna 7021P as the cream of the crop. Even with the affordable price, it offers a 3 in 1 mowing option, received several positive reviews from users and can be the most bang for your buck.